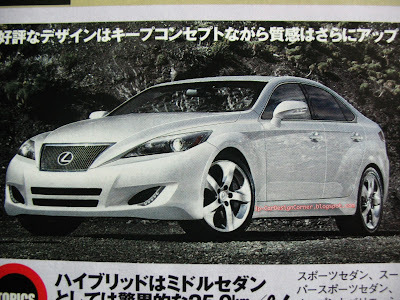 日本自動車デザインコーナー 「Japanese Car Design Corner」: Lexus readies new IS - hybrid version to achieve 25.0 km/L! Lexus readies new IS - hybrid version to achieve 25.0 km/L! The all new Lexus IS is coming in September, ready to compete with the new BMW 3 series. As you can easily guess, there is going to be a hybrid version as well, which will be fitted with the 2.5 L V6 engine, and it will achieve a fuel efficiency of 25.0 km/L under the 10.15 mode! As with the current gen mode, a convertible version will be available but this time it will get also the "F" treatment!!! It will be a bit challenging in terms of naming though... IS C-F perhaps?! 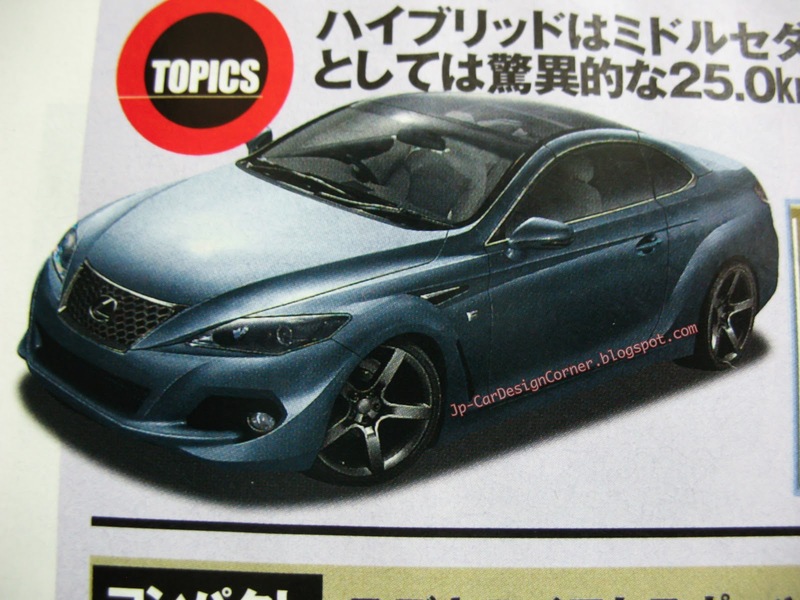 Lexus CT to get the "F" treatment?! LFA in action - V10 engine at work!!! Next Mitsubishi Colt not coming in Europe!